Going through a divorce is a very stressful time, not the least of which is the result of the financial strain it will put on you. Divorces can end up being very expensive and will have a large impact on the way you run your finances going forward. While there is not much you can do to reduce the cost of a divorce entirely, there are some things that can be done that will hopefully lower the amount a little bit. Here are a few suggestions to get you started so that you can try to make your divorce more affordable. The first thing you are going to have to realize is that you will need to do a lot of the work on your own. A lot goes into getting a divorce, and this typically relies on other people for help. However this costs money, so you should look for ways to do things on your own. For starters, you can be your private investigator and do some searching for information yourself if need be. You can also fill out the legal paperwork that is required for a divorce, and submit them all yourself. Doing all of this is going to be more work for you, but will save you money. The other thing you can do during a divorce to reduce costs is forgo getting a lawyer. If you are willing to do the work yourself, representing yourself is a great way to take charge of your divorce and save money at the same time. However, there is a lot of paperwork involved with a divorce, so finding some assistance may be of benefit to you. One way to represent yourself but still get legal help is through a Legal Document Assistant. An LDA does not offer legal advice, or represent you in court, but can help you prepare your legal documents. Groups like National Family Solutions provide attorneys, family psychologists, and private investigators to help with family law issues, such as divorce, and will help to make sure all of your paperwork is done correctly. If you feel like you need to strengthen your case, a Parent Evaluation is a great addition to the paperwork you file with the courts. A divorce comes with many financial hardships, but it can also take a toll on your emotional state. Stress is common during a divorce, and you will need to find a way to cope with it. When we are stressed out it can lead to making bad or hurried decisions, which can cost you money in the long run. Find ways to manage your stress during this time by doing things like exercising, meditation, or seeing a therapist. Lastly, you will need to modify your budget once you are going through a divorce. You may be going from two incomes down to one, and you may also have some new bills that you need to pay on your own, such as rent, car payments, or child support. This means you will not be able to spend money like you used to, and changes will need to be made. Take a look at your monthly budget, and look for areas that you can cut back. Try to factor in your legal fees so that you are better able to afford them. Remember that as time goes on this will get easier, and eventually you may be able to return to your normal lifestyle. The key to saving money during a divorce is to know what all of your options are. For everything you need to spend money on, look for an alternative that may be cheaper. The more options that you can find, the more money you will be able to save. 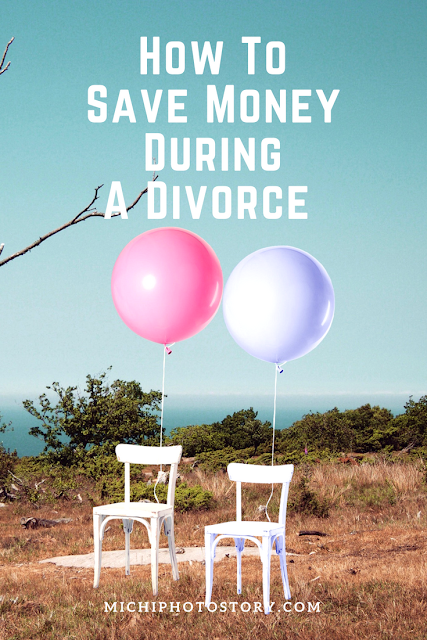 Going through a divorce is difficult, but if you can find some more affordable options, you can at least make it a little easier on your wallet.